I almost didn’t become a scuba diver. But the reason had nothing to do with a lack of interest. It’s that I didn’t know how to become a scuba diver. That might sound strange coming from someone who completed a certification course, but not if you really understand what it takes to become a diver. You see, just getting certified doesn’t make you a diver; a c-card is merely a license to learn how to become one. It saddens me to think just how many people have been in the same predicament and just gave up because, once they completed their training, they were left on their own to figure out the rest. I was fortunate for two reasons. First, I took my training with a close friend. After our course we struggled together up the learning curve until we both began to feel confident enough to call ourselves divers. But we really weren’t. Not yet, at least. More importantly, we found a support group by joining an underwater rescue team. It was with this much more seasoned crew where I truly made the transition from novice to journeyman diver. Frankly, I don’t believe I actually became a scuba diver in any real sense until I had at least 50 dives in my logbook. For me, the lesson I learned was simple yet fundamental: You can’t become a diver alone. 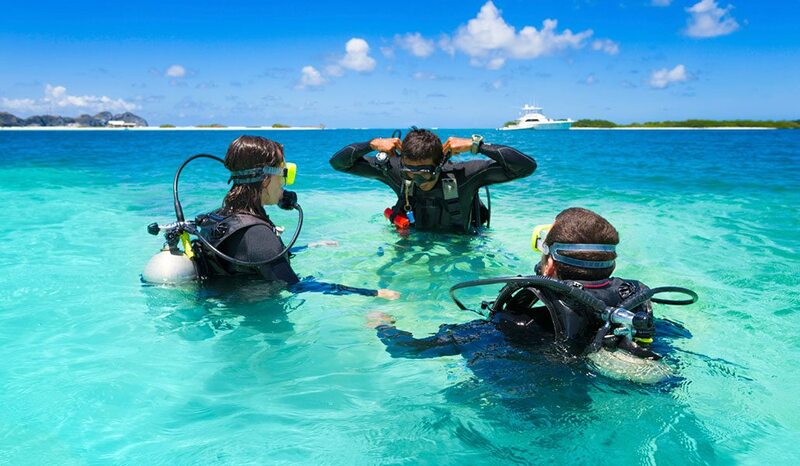 Just as diving with a buddy is a basic tenant of safety, becoming a diver isn’t a solitary experience, either. And the reason shouldn’t be a surprise. Simply gaining experience, without the insights from others who are even more experienced, isn’t the best way to learn. No matter how comprehensive, no course can teach you everything. In fact, at best, training can only give you a taste of what diving is; acquiring the nuances comes only with experience. However, I have to disagree with Nietzsche in that I don’t believe that whatever doesn’t kill you makes you stronger. In my view simply gaining experience, without the insights from others who are even more experienced, isn’t the best way to learn. Furthermore, in diving, the cost of learning through experience alone can be too high. Diving is a very deceptive activity that can easily lull one into complacency. Most of the time it’s simple, easy and straightforward. But when things do go wrong, they go wrong quickly and often with little warning. It’s like sailing into an unexpected squall on an otherwise calm day. Situations can quickly deteriorate to a point where they’re beyond both our comfort and control. It’s sometimes said that it takes a village to raise a child. In the same sense, it takes a community to raise a diver. And, whether we’re instructors, divemasters, dive retailers or just plain divers, that responsibility falls to all of us. We owe it to each other — particularly to new divers — to help them make the transition from mere c-card holders to real divers. Remember that the next time you meet a newbie. I hope that you’ll do your part in making us a stronger, closer and safer community.